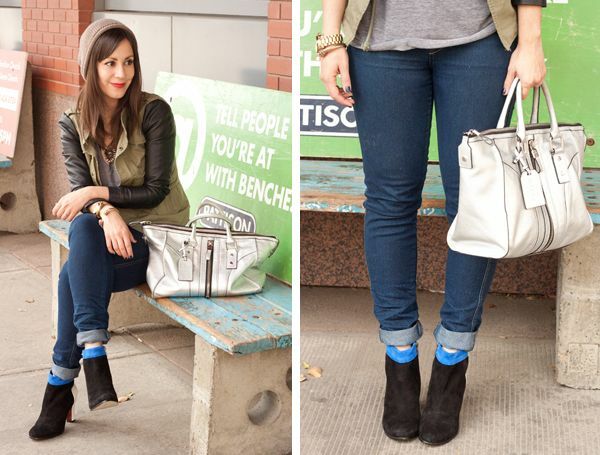 Always down for a good colour-blocking session, these Sam Edelman booties had me at white heel. And cobalt. Oh, and suede... soft, supple suede. Basically what I'm trying to say is these badboys were a no-brainer. The moment I saw them I was as good as sold, although it did take me a few weeks to justify yet another pair of booties — but hey, the heart wants what it wants. Love the boots Vickie! You'll be able to wear those forever, too. Those booties are pure fun!